Below is a nice article from the American Academy of Podiatric Sports Medicine with regards to injury prevention tips for road races. Please look out for weekly advice on foot injury prevention for the upcoming Charleston Marathon, Myrtle Beach 1/2/Full Marathon, and the Cooper River Bridge Run 2019. Good luck on your training!!! Bethesda, MD – Making running part of a workout routine leads to better physical stamina and a more positive state of mind—but a detrimental foot injury can quickly stop runners in their tracks. Keeping feet healthy and pain-free can go a long way toward ensuring that every run is enjoyable, for both experienced runners and those just starting out. Following a few simple steps provided by the American Podiatric Medical Association (APMA), before hitting the trail or treadmill, can keep foot and ankle injuries at bay. Select a good running shoe: According to Karen Langone, DPM, president of the American Academy of Podiatric Sports Medicine (AAPSM), the most important running tip is proper shoe selection. “A running shoe purchase is dependent upon the type of foot and function of the foot for the individual. Runners should research shoe construction and keep in mind that footwear can vary in size from one manufacturer to the other,” she said. APMA has recently given several running shoes its Seal of Acceptance for allowing proper foot function, including models made by Puma, Mizuno, Asics, Reebok, Avia, and Ryka. A sports medicine podiatrist can help aid in the footwear selection process if needed. Muscle pain is common after exercise, and minor injuries may be treated with the RICE regimen (rest, ice, compression, elevation). However, if pain does not resolve itself after several days—or returns immediately upon resuming exercise—runners should seek out care from an APMA member podiatrist immediately. Frequent runners should see a podiatrist on a regular basis to maximize any running program and prevent serious injury. 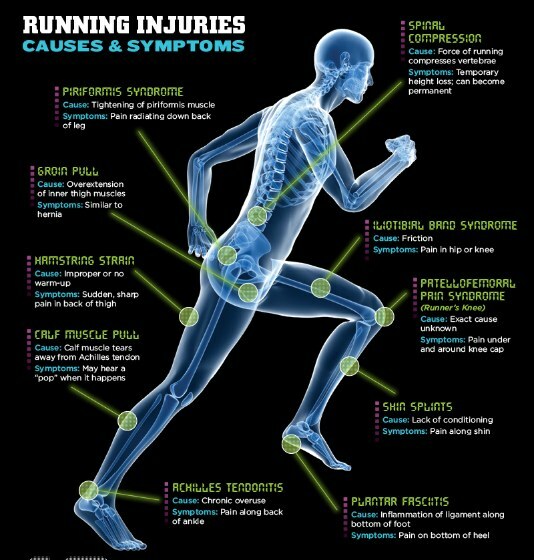 For more on running and foot health, visit APMA’s new Runner’s Resource page at www.apma.org.